When it comes to video game characters 5 Video Game Characters I Wish I Could Hang Out With In Real Life [MUO Gaming] 5 Video Game Characters I Wish I Could Hang Out With In Real Life [MUO Gaming] Have you ever wondered what it would be like to meet up with your favorite video game characters in real life? There are some really cool characters in the video game world, and some of... Read More , Mario Shigeru Miyamoto Spills the Beans on Mario in This Video and Infographic Shigeru Miyamoto Spills the Beans on Mario in This Video and Infographic Read More is generally the most well-known, but there’s a giant gorilla nipping at his heels. That’s not some kind of expression or anything — I’m literally talking about Donkey Kong 10 Classic Nintendo Games to Celebrate 5 Years of the eShop 10 Classic Nintendo Games to Celebrate 5 Years of the eShop The Nintendo eShop is celebrating its fifth anniversary this month, and it's a perfect time to snap up some excellent games! Here are 10 classic titles all Nintendo enthusiasts need to download! Read More . 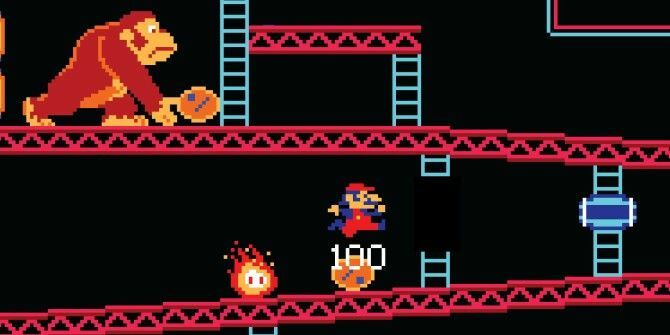 Mario the Carpenter actually got his start in Donkey Kong’s game (of course, he’d go on to be plumber). Since then, Donkey Kong has gone on to do his own thing, appearing in all kinds of quality games. The infographic below gives you a quick visual breakdown of the history of Nintendo’s beloved ape, and it does with as much visual style as you’ll find any infographic on the web! It's "Diddy's Kong Quest," not "Diddy Kong's Quest."